Controlling fleet costs can be difficult for owners, as keeping so many vehicles in top shape can get very expensive, very quickly. 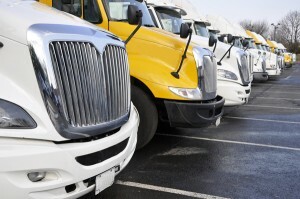 Whether you manage a fleet of passenger vehicles or commercial trucks, breakdowns are inevitable. While it is difficult to plan for worst case scenario situations and once in a lifetime events, preparing for more common issues can go a long way in reducing repair costs. It might be easy to dismiss these common issues as insignificant, but the cost of fixing them can add up. Preventative maintenance is critical in keeping cost down. It is also important to consider long tern costs when designing new vehicles. Improving vehicle support systems can also help reduce the frequency of repairs, leading to reduced costs. Technology is more prevalent in vehicles than ever and it has led to a substantial increase in repair costs for fleet owners. Many of these new systems are so complex that they aren’t properly fixed the first time, leading to increased repair frequency.